Helping clients increase profits through and understanding of their bookkeeping and financial reports. 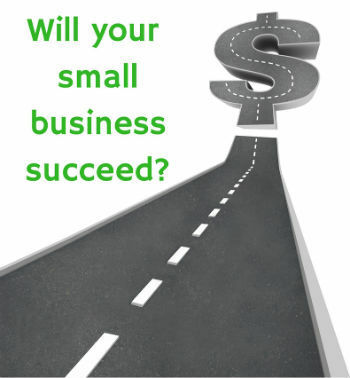 It finally occurred to me the other day why many small businesses don't succeed. It is so obvious, I have no idea why it took me so long to draw this conclusion. The reason that small businesses fail is because running a successful business has nothing to do with what your business actually provides to the market. As an example, let's say you work at a marketing agency providing marketing services to the customers of your employer. You are really good at your job. Your clients love you and constantly praise you. After a while, you start wondering why you don't just offer these services to other businesses directly and make all of the money for yourself. Why should your employer get anything? You are doing all of the work, right? On the surface, you appear to be right. However, just because you are good at something doesn't necessarily mean you will be good at running a business. People love to tell you that a successful small business is all about passion. They will say things like "follow your passion and the money will come." The theory is that if you are doing what you love, you will eventually be successful. There is one major caveat to solely relying on following your passion if you want to run a successful business. Following your passion will not automatically translate into a successful small business. Passion may be the thing that gets your business going, but you will need some help to turn it into a success. Running a business is hard and most people find that out the hard way. They fail, a lot. The difference is that some people dust themselves off and get up while others lay down. Success is all about perseverance. Sales are the lifeblood of any business. On his blog, Mark Cuban wrote a post titled A Couple of My Rules for Startups where he said, "Sales Cures All. Know how your company will make money and how you will actually make sales." Seems pretty simple and logical doesn't it? It is simple, but sales are not. If you own a small business, you are in sales. Period. If you can't sell, you are dead. If you can't build a team that can sell, you are dead. Many entrepreneurs underestimate the importance and difficulty of sales. They just think that obviously someone will want to buy their stuff. So what exactly is so hard about running a small business? Back to what I said earlier, running a successful small business has nothing to do with what you actually do. Just because you are a good marketer doesn't mean you will run a successful marketing agency. According to the Small Business Association, 33% of small businesses fail within the first 5 years after inception. Why do you think that is? It is because most business owners underestimate how hard it is to actually run a successful small business. At the beginning, I stated that when you are running a small business, you will not actually be doing what your business provides to the market. If you are doing the work of what it is you deliver, then you don't have a business. You have a job. Running a business is all about building. As a business owner, you build: teams, systems, strategy, processes, plans, forecasts, etc. Your job as a business owner is to lead your business in the right direction to make your vision a reality. Leading is your job, not doing. So what is the secret sauce for running a successful small business? I feel there are three ways that entrepreneurs become successful at running a small business: failure, mentors, and education. You hear lots of people say that you have to fail before you can succeed. I don't necessarily agree with that, but you can learn a ton of practical business knowledge from your failures. The absolute key to failing is turning every failure into a learning experience. When you turn failures into learning experiences, you will eventually succeed. When you don't turn failures into learning experiences and just keeping doing it the way you always have, you will go out of business. A good small business mentor can make all the difference when it comes to your business succeeding or failing. You have a choice when you pick a mentor, so pick someone who is successful; ideally, they have had multiple successful businesses. Experienced mentors have already made many of the common growth mistakes and learned from them. They have faced the difficult situations that you will and know what to do. They have been members of unbelievably talented teams and have years of practical knowledge that you need in order to turn your business into a success. Don't necessarily think that a mentor will cost you a ton of money. In fact, a good mentor shouldn't cost anything. Great business mentors are typically more than willing to mentor you free of charge (within reason and make sure you ask them what they can do), because somewhere along the line, someone did it for them. When I talk about education being a key piece to running a successful business, I don't necessarily mean a college degree, although that does help. People who run successful businesses are constantly educating themselves to try and better their business. Successful business owners are obsessed with staying competitive and relevant. They know that continuing education is important. Successful business owners educate themselves through avenues we have already discussed: failures and mentors. However, great business owners also read a lot. They keep up with trends in their industry and the general news. They are great at consuming relevant information and ignoring bad data. They also attend conferences, both virtually and in-person. Successful business owners never stop trying to educate themselves with good information to help them grow, and they use all sorts of avenues to do so. Why do you think the majority of small businesses fail and what advice do you have?